Brazilian Minister Resigns After Leaks Show He Hid Corruption. #Corruption, Brazil, Dilma Rousseff, Fabiano Silveira. The newly appointed minister of transparency, Fabiano Silveira, was among those who supported Dilma Rousseff’s ousting from power. 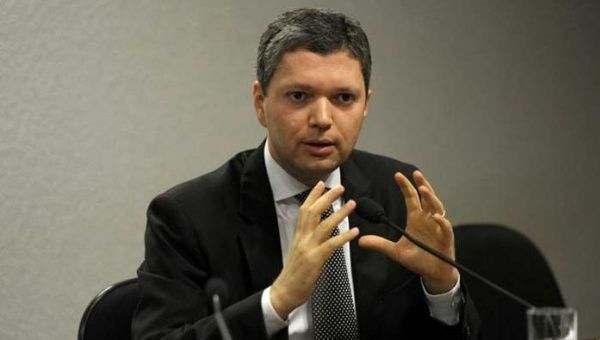 Brazil’s Transparency Minister Fabiano Silveira resigned Monday after leaked recordings suggested he tried to derail a sprawling corruption probe, the latest cabinet casualty impacting interim President Michel Temer’s administration. 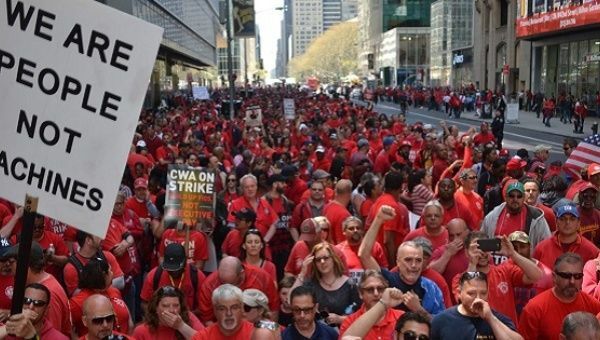 Striking Verizon Workers Win Big Gains in New Agreement. “It proves that when we stand together we can raise up working families,” said CWA president, Chris Shelton. Nearly 40,000 Verizon workers who have been on strike since April 13 celebrated big gains after reaching a tentative agreement with the company Monday. G7, the summit of Western hypocrisy. The G7 meetings, which were originally little more than simple informal conversations between the Western leaders, flirted for a while with the idea of becoming a world governement before falling back to organising a sort of public relations training course. The Ise-Shima summit reviewed the world’s main problems, and defined, for each of them, the elements of language which should be employed. 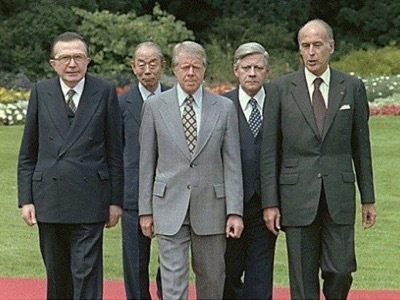 The first G5 meeting in Rambouillet, France (1975). The G7 has just met at Ise-Shima (Japan). But although we had been swamped with information about the preceding summits, this one was hardly mentioned by the international Press. The fact is that the objective of this meeting is profoundly different. Cuban Dance Company Hits Success in New York. 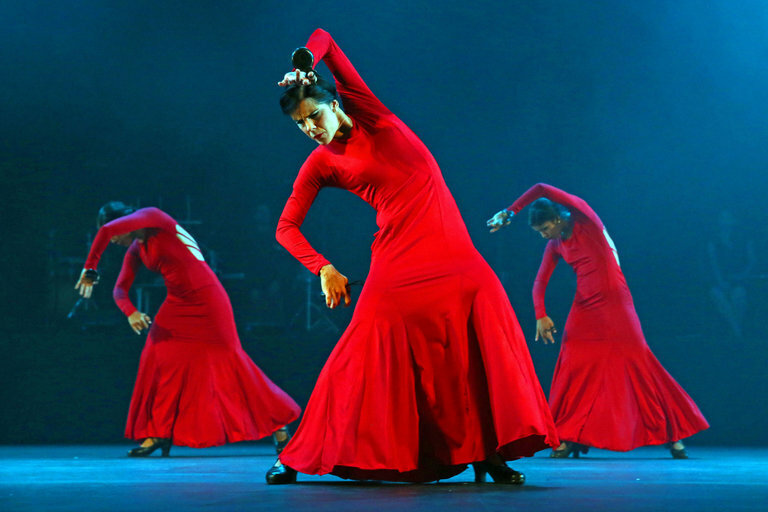 Havana, May 27 (Prensa Latina) Following the success of their recent performances at the Joyce Theater in New York City, the dance company of Cuba’s Irene Rodriguez’s cherishes future plans to perform on the American dance circuit. We burst into his apartment in the heart of Vedado, on a morning when the heat almost melts the streets. 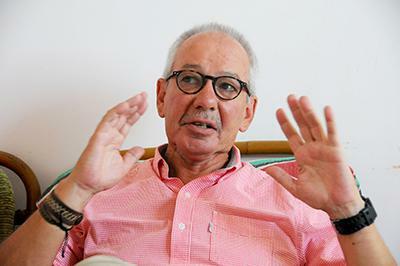 “Welcome, come in,” says Jorge Enrique Botero, one of the Colombian journalists who knows best the armed conflict in his country and had agreed to an interview with Granma. 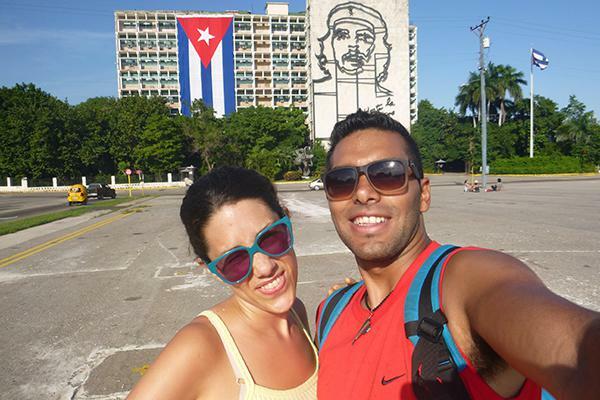 Cuba, a beautiful and safe place. International visitors appreciate being able to stroll freely through safe cities of the island, a far cry from the violence of armed groups or criminals seen in other parts of the world. New group of Cuban doctors in South Africa. 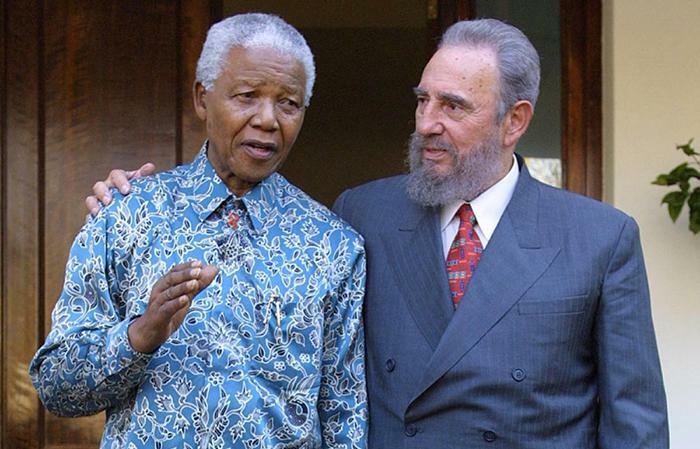 PRETORIA.— A new group of 22 Cuban doctors arrived May 29 in South Africa to continue the fulfillment of a cooperation agreement signed by Fidel Castro and Nelson Mandela exactly 20 years ago. 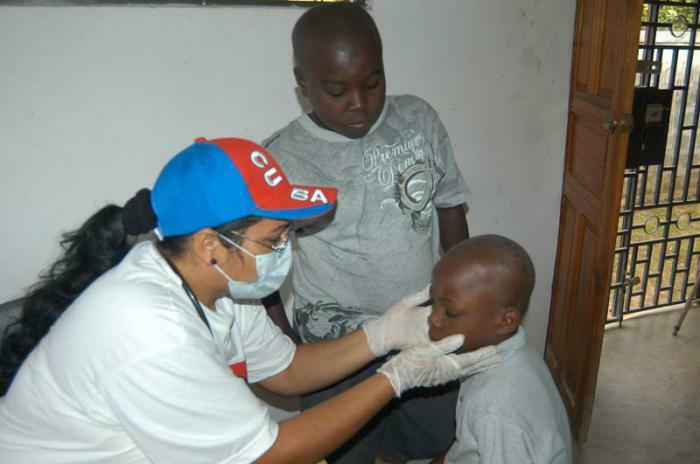 Cuban medical cooperation makes positive contribution in the Caribbean. During this week’s meeting of the Association of Caribbean States (ACS) in Havana, mention will surely be made of the wellbeing and hope which Cuban medical cooperation has brought to peoples of the region. Cuba blames US sanctions for Co-op Bank closures. 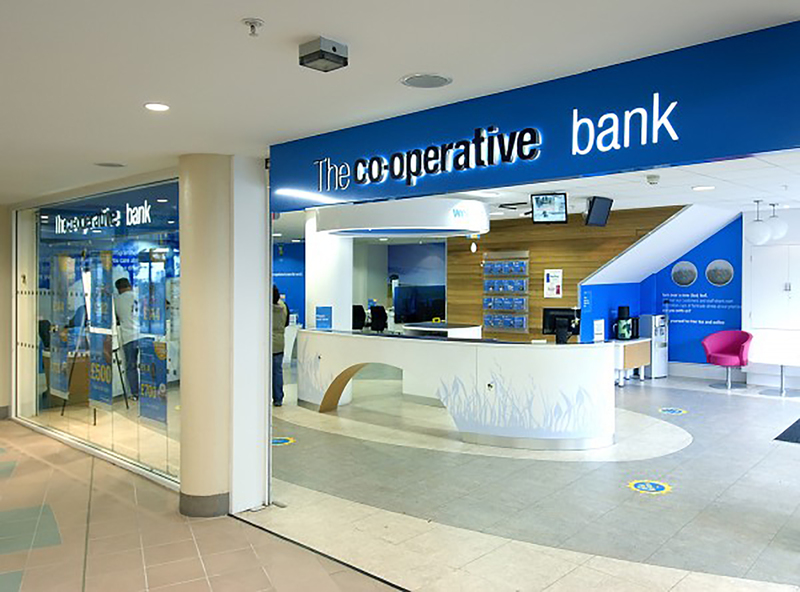 Cuba’s permanent mission to the UN has denounced the sanctions imposed by the USA after the Co-operative Bank closed the accounts of the British Cuba Solidarity Campaign. In a press statement, Cuban officials say the Bank’s chief executive, Niall Booker, had confirmed in writing to customers that the closure was the result of the risk arising from US sanctions imposed on Cuba. Cuba Hosts Convention on Biomedical Sciences. Havana, May 27 (Prensa Latina) The 1st Ibero-Latin American Convention on Basic Biomedical Sciences began today in Havana with the participation of 150 delegates from the United States, Spain and Cuba. The event will be held until tomorrow at the Latin American School of Medicine (ELAM) under the theme ‘Stem Cells: Present Situation and Prospects’, the vice president of the organizing committee, Belen Iglesias, told reporters.